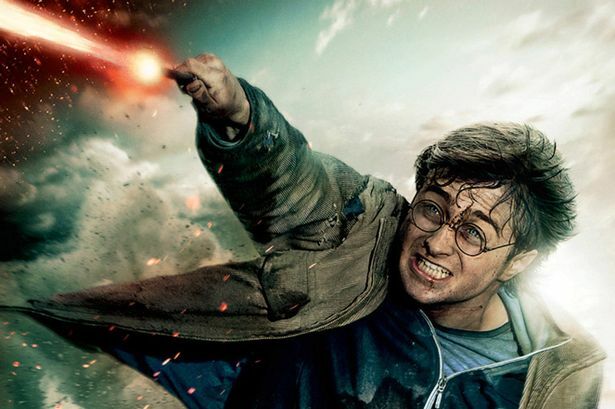 Harry Potter Isn’t Really a Magical Wizard, but Maybe Jesus is! I propose that Harry Potter and the wizarding world represent such an ‘advanced’ technology. Let me break this down further. “Expecto Patronum!” cries our hero, Harry Potter; pointing his wand towards one of his most deadly adversaries, a Dementor, at the same time filling his mind with the happiest memory he has. When Harry casts this complex spell correctly, a full-size luminescent stag appears before him and charges head first at the Dementor to vanquish it and leave Harry out of harm’s way. “Magic!” we exclaim with wonder (forgetting for an embarrassing moment that we are in the cinema and this is only a film). Well, even if it were real, you would be wrong; you have seen no magic whatsoever. “How so! ?” you cry. What needs to happen for a person to perform magic? Well, most definitions talk about the conjuring powers of the supernatural. Supernatural, by definition, refers to something beyond nature, and therefore (and here is the crucial part) breaks the laws of physics. But the wizards of the Harry Potter books clearly do break the laws of physics; we see flying cars, paintings that talk rationally to you and spontaneous deaths from a flick of a stick and a cry of “Avada Kedavra”! Yes, these phenomena all break the laws of physics… as we thus far understand them! Every single time a sufficiently well-trained ‘wizard’ uses the Expecto Patronum spell we see the predictable result of the appearance of said wizard’s Patronus. Not some times, not most of the time; EVERY single time! If we created the hypothesis Action A will lead to Consequence B, and test any such hypothesis related to the wizarding world we would be able to reject all our null hypotheses with a significance of 1.000! These little tricks represent empirically measurable phenomena therefore they cannot be magic, they cannot be breaking the laws of physics; they are, as Arthur C. Clarke would tell you if he read the Harry Potter cannon, only sufficiently advanced technology. This technology, I will grant, would revolutionise our understanding of physics more than Isaac Newton and Albie Einstein could have ever thought possible. The wands, sold in Ollivanders down Diagon Alley, tend to encase dragon or unicorn. These materials are perhaps the fundamental to the scientific wonders consistently conducted by the students of Hogwarts. If only we were to find a dragon or a unicorn we could analyse their bodies and potentially unpick the lock to the marvellous manipulations of our laws of physics. Perhaps Harry and co interact with the world of quantum physics in ways we are yet to understand. Perhaps, a string of unicorn hair could unlock the magic that is string theory! So, we see, when we read Harry Potter we are really reading about the best scientists the world has ever seen wielding technologies beyond our wildest dreams! But what about this Jesus bloke? Well, he appears to be a one off, he broke the mould and broke the laws of physics with gay abandon! He walked on water like no one since; he fed the masses with next to nothing; and he was the best person to have around if you fancied a tipple but had nought but water to your name. We have since learned that custard may be a Newtonian fluid but water cannot be walked on, we have (without much hassle) learned that a few bread and fishes won’t feed the masses. And, we’ve looked very closely at water and this water-to-wine alchemic feat appears far from possible. All these actions break the laws of physics in ways no other man ever has, which unfortunately means these conjurings are outside the realms of empirical experimentation. A great shame for us, though I suppose a great boon for religion! But! Maybe I’m wrong about Jesus; maybe he was actually the first documented person to use the aforementioned advanced technologies of the wizarding world. Just maybe, Jesus was the original Harry Potter; well, Jesus was also tested by an adversary of pure evil; he was also vilified by many of his contemporaries (though never in The Daily Prophet… for he was the daily prophet I suppose! ); and he also came back from the dead just like Potter. Actually, the similarities are eerie when you really think about it! Oh, but wait, Jesus never had a wand… he must just be magic then I guess!